Office work was a sign of status decades ago when most people were performing physical work to earn a living. These days, working in an office is common but findings have emerged that a physically sedentary job is taking a longer-term toll on your health. The sedentary lifestyle led by the majority of the population is now considered a major health issue and office work is regarded as one of the main culprits. The long hours spent on a chair in front of the computer, driving instead of walking, taking the lift instead of climbing the stairs all have a negative impact on our health – despite exercise undertaken outside office hours. 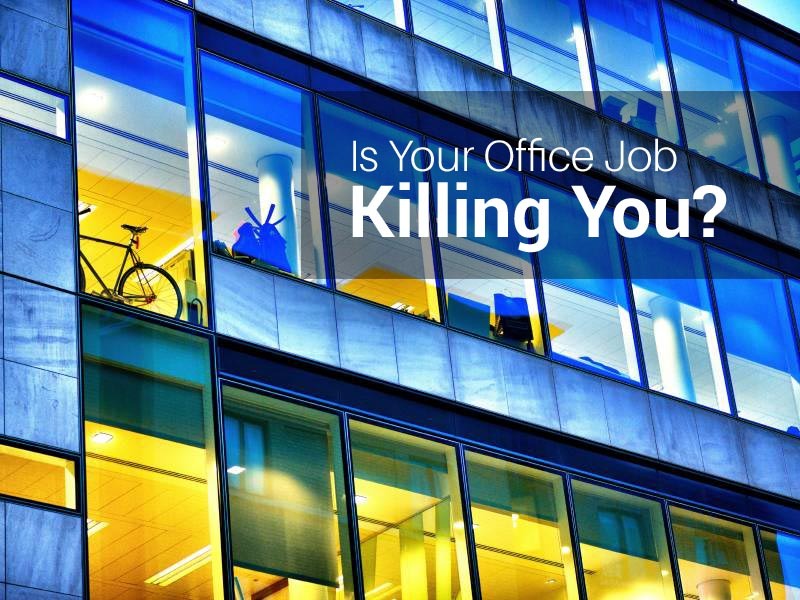 Office work affects your wellbeing in many ways. Studies have shown that sitting in a chair for hours increases the risk of heart disease, diabetes and cancer among others, in addition to the increased likelihood of back and neck pain, losing bone mass and increasing body fat levels. Besides the risks associated with sitting in a chair, another overlooked aspect is the effect of bright artificial lights. People whop spend a lot of time in brightly-lit rooms can have more intense emotions and sensations and can tend to feel overwhelmed more quickly. Does going to the gym after work help? Exercise that raises your heart rate or gets you lifting weights improves your cardiovascular fitness and strength but doesn’t appear to compensate for the negative effects of office work. A study published in 2013 suggests that constant low-strain physical activity has a more positive influence on overall health compared to short periods of intense exercise. Studies of this kind highlight the difference between daily incremental activity and intentional exercise and the need for both in our lives. In two words: get moving. The unfortunate truth for many of us is that long hours are a benchmark of respect in the workplace. Sometimes there is trade-off between career progression and living a balanced life, and decisions need to be made when an employer wants more than your health can give over the longer term. Remember that most employers will happily let you work as many hours as you can so look for ways to manage perceptions while minding your health.